Anna specializes in sculpted paperclay dolls (up to 20 inches tall), including manual production of tiny details and dress tailoring. Each doll is created from unique design and usually exists in a single copy. No pre-fabricated parts. Handmade clothes tailored individually for each doll. 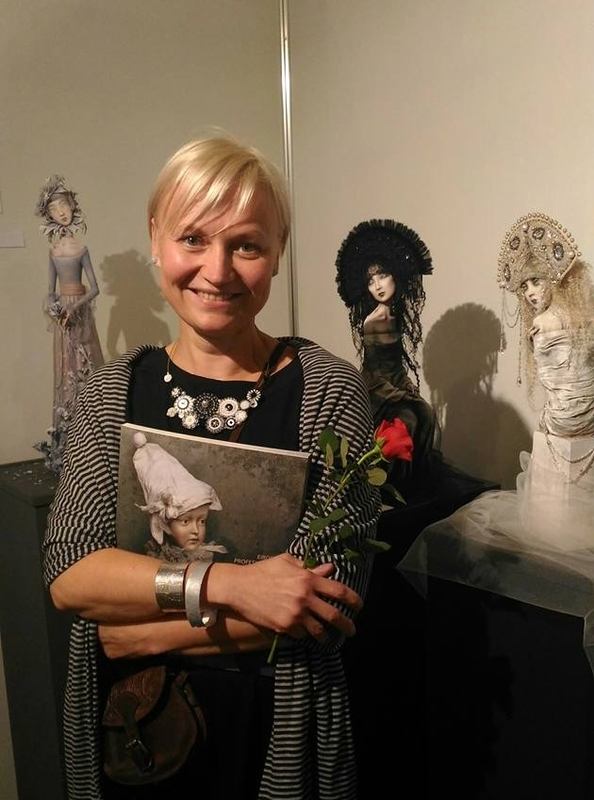 Anna Zueva and her dolls are constant participants of national and international exhibitions of doll art. She became a member of the National Institute of American Doll Artists (NIADA) and two major Russian professional associations for doll artists: Creative Union of Artists of Russia and Ural Association of Doll Artists. Anna Zueva’s dolls are on permanent display in the Surgut Art museum in Russia, “Art cz Gallery” in Prague, “Kukolny Dom” Doll Art gallery in Russia, in the “Parsuna” Doll Art gallery in Kiev (Ukraine), and also in the “Karina Shanshieva’s Gallery” in Moscow and in private collections around the world. In 2010, Anna Zueva was awarded in the category “Best OOAK Mini-Human” at the “Colliii Awards 2010” (Germany) and took the first prize in the National Doll Artists’ Competition “Hello, Dolly!” in Novosibirsk, Russia. In the same year, “Contemporary Doll Collector Magazine”, a prestigious publication of American dollmakers, featured a column about Anna Zueva in “Artist’s profile”. 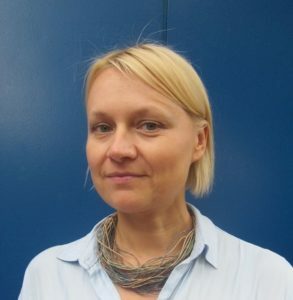 In 2011, Anna won a grant competition of the international fund “The European Cultural Foundation” (Netherlands) and received funding for her trip from Russia to Israel to organize a doll art exhibition “Znakomstvo” (“Acquaintance”) in Netanya City in June 2011. I have been making dolls for over 20 years. But my first encounter with dolls was when I came to the art studio at the Pioneer’s Palace, a youth center for creative work in the Soviet Union. Of course, no one was thinking about doll art at that time at all — children only liked to draw or sculpt. After graduating from the local art school, I began to study design at the Sverdlovsk Institute of Architecture. I created my first doll there and gave it to a friend as a birthday present. That started my doll artist career. And it has been doing it for twenty years. Inspiration for dolls can come from various sources. Sometimes it could be an interesting piece of fabric. Another time, a film I saw or a book I read. Sometimes my mood becomes the inspiration in itself and any little thing can trigger it, like some gesture or a pose. Dolls often tell me what they want to look like. I always find it more interesting to create new images than to repeat the old ones because I have no lack of ideas. In my stream of inspiration, I can work 24 hours a day. I design and make the outfits for all my dolls. As a child, I wanted to become a fashion designer and later I studied the history of Russian theater costume, so I especially love to work on the details of the costumes for my dolls. I collect any beautiful piece of fabric I see, even if I don’t know what to do with it at the moment. As a result, my home is filled with materials for costuming. My other passion is unusual accessories. I occasionally make those myself out of fabric and felt. I also dabble in furniture restoration, well, restoring isn’t exactly what I do. I rather transform it, making it not what it used to be but what I want it to look like. I love all of my dolls, without any exceptions, even if they are acting up and turn out not how I’d wanted them to look. I feel comfortable and cozy with them, we talk, argue at times, but I always remember all my girls lovingly. I miss some of them, too. They are so very different, with distinct personalities. Some are «born» easily and quickly, some not.